Ms. Liu, the founding partner of MagStone Law, LLP, is a seasoned corporate attorney, with over a decade of experience representing public and private companies and investment banks in corporate and finance matters. In her private company practice, Ms. Liu advises start-up and emerging growth enterprises from formation through acquisition or initial public offering in matters including venture capital financing, equity financing, operational compliance and technology development (including licensing, distribution and other technology transfer matters). She also represents venture capital firms and angel investors in their investments in start-up companies. In her public ﻿company practice, Ms. Liu advises on both registered and unregistered securities offerings, executive compensation, mergers and acquisitions, corporate governance, periodic reporting and tender offers. 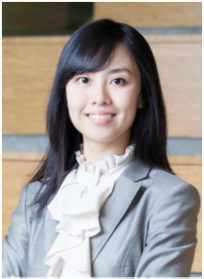 Ms. Liu is the lead counsel of ZGC Capital Corporation, AVIC Capital, Sinohydro Corporation, China Oceanwide, Donghai Securities, Tsingyuan Capital, SV Tech Ventures, NetPosa, Great Wall Club, Haiyin Venture Partners, Novumind, Musical.ly, PerceptIn, Nanjing Estun Automation Company, and other U.S. and Chinese companies and investment funds in their acquisition, financing (including Regulation A financing) and joint ventures in the U.S. Ms. Liu has represented SPT Energy, China Tianrun Cement and Daming International in their initial public offerings and has represented several NASDAQ-listed U.S. public companies in the preparation of their Forms 8-K, 10-Q, 10-K, Wells submission, Form 8-K, press release, Schedule 13D & 13 G filings and proxy statement. Ms. Liu also assisted Wal-Mart Stores, Inc. in its 51% equity acquisition in Yihaodian. Prior to founding MagStone Law, Ms. Liu worked for Morrison & Foerster LLP in its Palo Alto, Los Angeles and Hong Kong offices and for Jun He Law Office in its Beijing office. Ms. Liu received her L.L.B (with honors) from Peking University Law School in 2002, her M.C.L from the University of Hong Kong Faculty of Law in 2004 and her LL.M. from the University of Pennsylvania in 2008. Ms. Liu speaks English and Mandarin. Ms. Liu is a mentor for Stanford’s Technology Entrepreneurship summer session course.